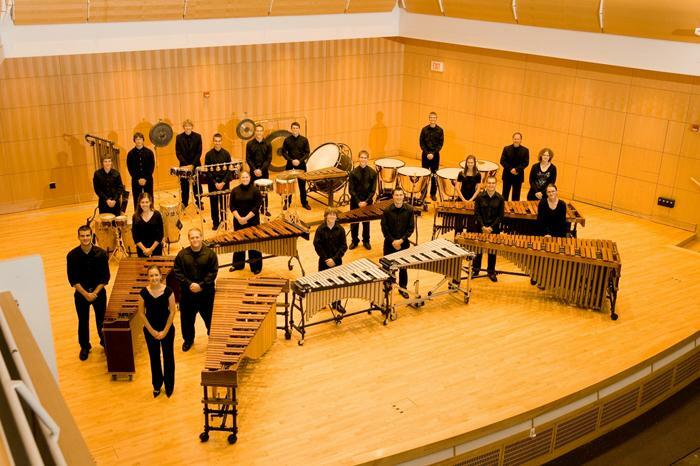 The Department of Music’s Percussion Division will present its annual “Fall Sampler” Percussion Concert at 8 p.m. Nov. 7 in Baldwin Auditorium. Directed by Michael Bump, professor of music, and Culver Hackel, percussion graduate teaching assistant, the concert will feature performances by the Award-Winning Truman Concert Percussion Ensembles I & II, as well as the Statesmen Marching Percussion Ensemble. A wide array of percussion music and instruments will be featured, including world percussion. Admission is free. 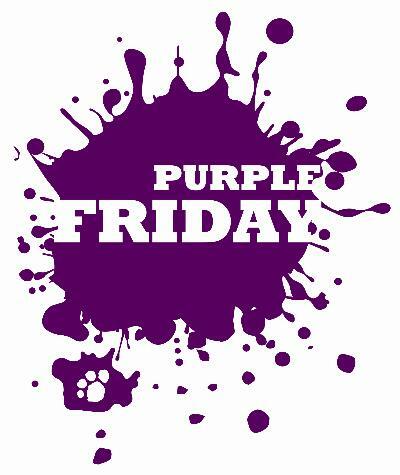 For additional information, contact Bump at 785.4052 or mbump@truman.edu. The Global Issues Committee will host Peter Menzel and Faith D’Aluisio and their lecture, “Calories and Culture: A Worldwide Photographic Journey!” at 7:30 p.m. Nov. 10 in Baldwin Hall Little Theatre. Menzel is a photojournalist known for his coverage of international feature stories on science and the environment. D’Aluisio is a former award-winning television news producer. Since 1996, they have collaborated on a series on documentary books. Two of their most recent books, “Hungry Planet: What the World Eats” and “What I Eat: Around the World in 80 Diets,” have won several awards. “Hungry Planet” details one family in each chapter and their weekly food purchases from 24 different countries. The narrative received Book of the Year from the Harry Chapin World in 2005 and won the coveted James Beard Best Book Award in 2006. “What I Eat” is a photographic journey across 30 different countries that exhibits what 80 people eat in a typical day. It won the International Association of Culinary Professionals (IACP) 2011 Jane Grigson Award. For more information about Menzel and D’Aluisio’s work, visit at www.menzelphoto.com. Truman will host the annual Kirksville area Veterans Day ceremony and honor University veterans that have served in the armed forces in a special service taking place at 11 a.m. Nov. 11 at the Ruth Towne Museum and Visitors Center. The University will also posthumously honor former student, Marine Corps veteran and Medal of Honor recipient, Jedh Barker, at the ceremony. Barker’s brother, John Barker of Lakewood, N.J., and sister, Susan Rilliet of Landing, N.J., will attend the ceremony and present remarks on behalf of the family. Other highlights of the ceremony include the dedication of the sculpture “The Purple Heart” designed and created by local artist Brandon Crandall. The sculpture will be located outside the entrance to the Towne Museum and compliment a series of plaques that memorialize Truman alumni who gave the ultimate sacrifice in foreign wars. Lt. Colonel Jim Tenpenny, chair of the Military Science Department, will present remarks about the history of the ROTC program at the University and the impact of Truman alumni in the armed forces. Jedh Barker enrolled at Truman in the mid-1960s following a standout athletic career at Park Ridge High School in Park Ridge, N.J. He was a member of Maurice “Red” Wade’s Bulldog football squad. In May of 1966, Barker left Truman to enlist in the Marine Corps. He hails from a deeply rooted military family, as his father George served in the Marines in World War II and his brother Warren was awarded a Purple Heart for service in the Korean War. On Sept. 21, 1967, while on a reconnaissance patrol near Con Thein in South Vietnam, Barker’s unit came under fire. As a Lance Cpl. machine gunner, Barker returned enemy fire. He was wounded twice and continued the battle. Then, an enemy hand grenade dropped among the cluster of wounded Marines. Barker reached out and pulled the grenade underneath him. The subsequent blast horribly wounded Barker and several other Marines. He spent the final moments of his life trying to administer a battle dressing on the wound of a comrade. For his act of heroism, the Medal of Honor was presented to Barker’s family by Vice President Spiro Agnew in White House ceremonies on Oct. 31, 1969. The Medal of Honor was created during the Civil War and is the highest military decoration presented by the U.S Government to a member of its armed forces. The recipient must have distinguished themselves at the risk of their own life above and beyond the call of duty in action against an enemy of the U.S. A total of 3,471 medals have been awarded since 1861. Barker is the only Truman student to have ever received the Medal of Honor. A reception will follow the ceremony at the Towne Museum, and the public is invited to attend. The Communication Disorders Department will host two different open houses on Nov. 12 in the new Health Sciences Building. The department will first host a graduate student open house from 10 a.m.-1:30 p.m. in Health Sciences Building 2203. All prospective students interested in pursuing a master’s degree in communication disorders from Truman are invited to attend. Information regarding the graduate program, employment opportunities and funding for graduate school will be provided along with the opportunity to meet faculty, alumni and students from the program. Students interested in attending may R.S.V.P. to Connie Ikerd, department secretary, at chelton@truman.edu. The department will then host a public open house of the new Speech and Hearing Clinical facility located on the ground floor of the Health Sciences Building beginning at 2 p.m. Tours will be given from 2-4 p.m. Light refreshments will be served with remarks from Janet Gooch, dean of Health Sciences and Education, at 3 p.m. All are invited to visit the new clinic and to help celebrate the start of the department’s 50th anniversary celebration. Clifton Kreps, professor of classics, will present “Strong and Weaker Arguments for a Liberal Arts and Sciences University” as part of the “A Conversation on the Liberal Arts” series. The presentation will take place at 7 p.m. Nov. 9 in the Student Union Building Alumni Room. The series is part of the celebration of the 25th anniversary of Truman’s mission change. 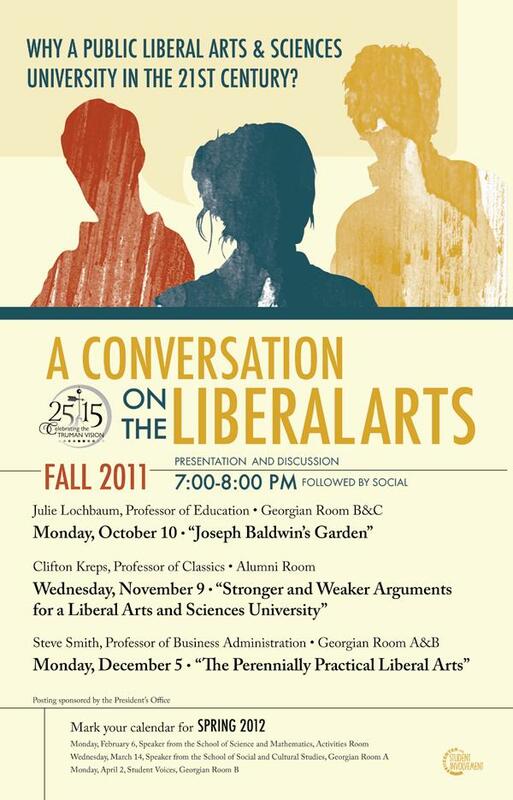 The presentations aim to examine the question, “Why a Public Liberal Arts and Sciences University in the 21st Century?” Much has changed in higher education in the last quarter century and these discussions will offer the Truman community an opportunity to reflect on the University’s mission and share thoughts on its future. Krep’s presentation will be followed by a discussion and social with refreshments. The Series is sponsored by the President’s Office and the next installment is scheduled for 7 p.m. Dec. 5 in the Student Union Building Georgian Rooms A and B. More information on the series can be found at blogs.truman.edu/presoffice. Julia DeLancey, professor of art (art history), will present the next installment in the Truman Faculty Forum series at 7 p.m. Nov. 8 in Ophelia Parrish 2210. “Colors, Color Sellers, and Visual Culture in Renaissance Venice” will examine the central role of color and coloring materials in 16th-century Venetian visual culture. It will also explore the key role vendecolori—color vendors who manufactured, sold, and traded in these goods—played in that culture and the implications for their social position. DeLancey will also outline the kinds of archival documents and research methods that allowed her to study this recently rediscovered Venetian mercantile specialty. Admission is free and open to all. Light refreshments will be served following the event. Information on this and other upcoming events in the Truman Faculty Forum series is available at forum.truman.edu. Students in Health 150 Nutrition for Health and Wellness, taught by assistant professor of health and exercise science, Janice Young, conducted a food drive for the Salvation Army food pantry Oct. 17-23 raising $1,321.76 and collecting 26 boxes of food and 10 gallon-sized cans of vegetables. The project was a service requirement for Young’s course. Students were challenged to raise $10 in order to generate more donations than the previous year. While on campus, the students talked to their peers asking them to donate the money they would have spent buying coffee or a soda, collecting more than $300. The students also collected money at the entrances of Hy-Vee and raised nearly $1,000. Major Elmer Trapp from the Salvation Army accepted the money and food donations Oct. 31 and personally thanked the students for their efforts. Janice Young, along with students from her health class, presents a check to Major Elmer Trapp of the Salvation Army. 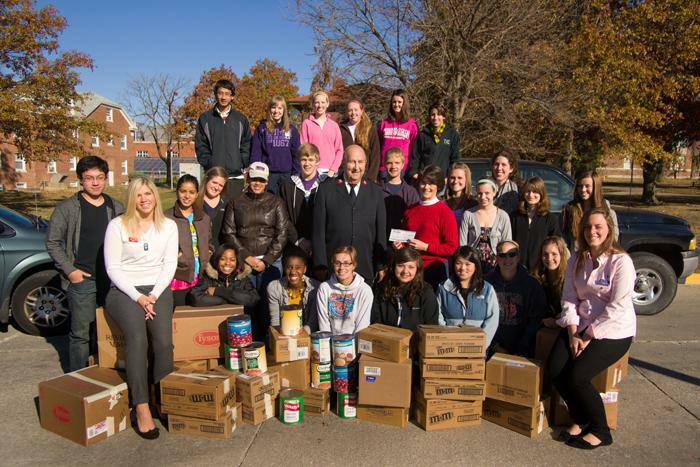 The students collected 26 boxes of food, 10 gallon-sized cans of vegetables and more than $1,300 in donations. The International Student Affairs Office is hosting International Education Week 2011 Nov. 12-18.
International Education Week (IEW) was first initiated in 2000 by the U.S. Departments of State and Education and is now celebrated in more than 100 countries. IEW is an opportunity to celebrate the benefits of international education and exchange worldwide. This annual initiative aims to promote international understanding and build support for international education exchange by encouraging the development of programs that prepare Americans to live and work in a global environment and attract future leaders from abroad to study in the U.S.
IEW will begin with International Idol from 6-8 p.m. Nov. 12 in Baldwin Auditorium featuring a night of diverse entertainment that brings an array of cultures to compete to win. The Multicultural Affairs Center is hosting a free Native American Dinner at 5 p.m. Nov. 13 in Ryle Hall. A Thanksgiving Potluck will take place at 6 p.m. Nov. 13 at the International House. Students interested in learning more about going abroad can attend the Study Abroad Information Session from 4-5 p.m. Nov. 14 in the Student Union Building Georgian Room C. “Heritage, History and Identity,” will take place at 7 p.m. Nov. 15 in the Student Union Building Alumni Room. A Dance Exchange featuring dances from all over the world will take place at 8 p.m. Nov. 15 in Kirk Gym. A French farce, “Dormez je le veux!” (“You Are Getting Very Sleepy,”) will take place at 8 p.m. Nov. 16-17 at 8 p.m. in the Student Union Building Activities Room. The last event will be Asia Fest from 5:30-7:30 Nov. 17 in the Student Union Building Georgian Room C.
Truman’s Forensics team took home six championship awards at the MCC-Longview Central States Swing Tournament Oct. 29-30. The tournament consisted of two separate individual events competitions and one debate competition. The individual events (speech) competitors took second place overall in team sweepstakes on the first day and third place at the second competition. During the first tournament, the team qualified for five new events at the National Tournament in April and earned two tournament championship titles. Junior Jessica Petrie won impromptu speaking, placed second in rhetorical criticism and fourth in extemporaneous speaking. Senior Andrew Grojean won informative speaking and placed sixth in impromptu speaking. Sophomore Arielle Long-Seabra placed third in dramatic interpretation and freshman Codi Caton made it to the semifinals in poetry interpretation. In the second competition, Petrie won first place in both extemporaneous speaking and rhetorical criticism. Grojean won first in dramatic interpretation and earned sixth in informative speaking. Freshman Alex Eichstadt broke into elimination rounds and took third place in extemporaneous speaking and fourth in impromptu speaking. Freshman Kate Pillen, also breaking into elimination rounds, placed fifth in prose interpretation. In debate, freshman Maddie Ebert won the novice division on Lincoln-Douglas debate and won the first place speaker award. In the open division of Lincoln-Douglas debate, sophomores John Carney and Nick Gorman made it into the quarterfinal round of debate, while sophomore Kory Anderson made it to semifinals. Gorman won the first place speaker award, Anderson fourth and Carney fifth. The second half of the tournament also resulted in five new qualifications for the National Tournament. Jason Haxton, director of the A.T. Still University Museum and author of the new book, “The Dibbuk Box,” will speak at 7 p.m. Nov. 8 in the Student Union Building Activities Room. Haxton’s book is about a mysterious wine cabinet that he first learned about from a Truman student who was working at the ATSU Museum. Rumors the cabinet was possessed by a spirit spread, and when it was listed for sale on eBay, Haxton bid on the item and won, in spite of the large competition. Once he owned the box, he carefully investigated and recorded everything he could about this unusual item. When a Los Angeles Times reporter followed up Haxton’s eBay purchase and wrote a story about the box and the ongoing coincidences of accidents, illness and death associated with it, it caught the attention of Hollywood horror film producers. “The Possession,” which will be released in early 2012, is loosely based on some of “The Dibbuk Box” story, with Haxton listed as a production consultant. Haxton is one of several University Press authors who will be speaking on campus this year to celebrate the Press’s 25th anniversary. The book will be available for purchase and signing at the event and in local bookstores. résumés for the full-time spring 2012 internship position. To apply, send a résumé, two writing samples and contact information for two on-campus references to the Public Relations Office, McClain Hall 202 no later than Nov. 14. For questions about the internship, contact Travis Miles at tmiles@truman.edu. The Student Union Building will be accepting reservation requests for the spring semester from 8 a.m.-5 p.m. Nov. 7-10. They will be accepting paper requests only. Any submissions that come in after Nov. 10 will be processed on a first-come, first-serve basis after the lottery requests have been processed. Paper forms can be found at studentunion.truman.edu/lottery. They can be printed and completed to submit during lottery time. Confirmations will be mailed to campus offices and delivered to student organizations mailboxes. Looking for reliable references to get started on a research paper? CREDO Reference is an online database of more than 500 full text reference sources including subject encyclopedias, dictionaries, chronologies, biographical sources and more. Subjects covered include art, history, literature, medicine, psychology, religion, science, technology and others. Begin searching at www.credoreference.com/home.do. MOREnet, the Missouri state agency that provides Truman’s internet, includes information about internet safety such as viruses, phishing scams and more on their website. Visit this information at besafe.more.net/. An original composition by Warren Gooch, professor of music, was performed at the 2011 National College Music Society conference on Oct. 21 in Richmond, Va. The composition, entitled TE DEUM, was performed by the Old Dominion University Concert Choir and Symphony Orchestra under the direction of professor Nancy Klein. TE DEUM was one of eight compositions selected for the concert via a juried international call for scores. Jerrold Hirsch, professor of history, presented a paper, “The Depression, Anti-Fascism, and Folklore Theory: B. A. Botkin, 1920-1939,” at the annual meeting of the American Folklore Society in Bloomington, Ind. He also received a Lilly Library (Indiana University) fellowship to conduct his research in the papers of folklorist Richard Dorson. Julia DeLancey, professor of art history, will present “Colors, Color Sellers, and Visual Culture in Renaissance Venice” at the next Faculty Forum at 7 p.m. Nov. 8 in Ophelia Parrish 2210. Kirksville Tourism, City of Kirksville, Kirksville Rotary Club and KLTE Bott Radio present, “Remembering Our Fallen From Missouri,” an exhibit to honor those who made the ultimate sacrifice in the Iraq and Afghanistan wars Nov. 8-15 at the Kirksville Arts Center. The exhibit will be open from 10 a.m.-5 p.m. Monday -Saturday and 1-5 p.m. Sunday. Phi Sigma Pi will host William Cane, professor of English at the City University of New York, to present about subliminal advertising at 7 p.m. Nov. 9 in Baldwin Auditorium. The Theatre Department presents “When a Man Marries,” written by Mary Roberts Rinehart and adapted by Joan Larkins Mather, at 8 p.m. Nov. 9-12 in James G. Severns Theatre in Ophelia Parrish. Alpha Phi Omega is sponsoring an American Red Cross blood drive from 10:30 a.m.-5:30 p.m. Nov. 9-10 in the Student Union Building Georgian Rooms. Alpha Phi Omega’s national fundraiser, Ugly Man on Campus, will take place from 7-9 p.m. Nov. 10 in Baldwin Hall Auditorium. Tickets will be $2 in advance and $3 at the door. They may be purchased from 10 a.m.-2:30 p.m. Nov. 7-10 in the Student Union Building, McClain Hall and Violette Hall. Penny Wars for each participant will be hosted in the same locations. The Global Issues Colloquium will host Peter Menzel and Faith D’Aluisio to present “Calories and Culture: A Worldwide Photographic Journey!” at 7:30 p.m. Nov. 10 in Baldwin Hall Little Theatre. The 2011 Veterans Day Ceremony will take place at 11 a.m. Nov. 11 at the Ruth W. Towne Museum and Visitor Center. A reception will follow. The Safe Zone Workshop will take place from 11:30 a.m.-12:30 p.m. Nov. 11 in Student Union Building 3203. The Safe Zone program is designed to help raise visibility and awareness of LGBTQ issues in order to create a safe and open environment for all students on campus. For more information, visit safezone.truman.edu. To sign up for the workshop, send an email to tsusafezone@gmail.com. 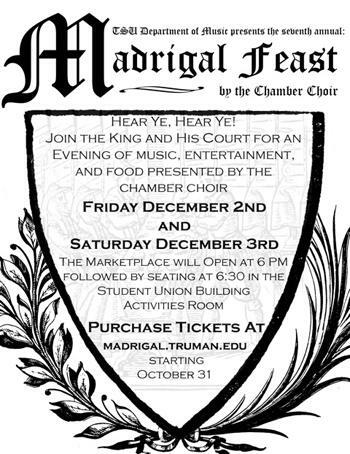 The Truman Brass Choir will present its fall concert at 8 p.m. Nov. 14 in the Ophelia Parrish Performance Hall. Selections will include Nessun Dorma from Puccini’s opera Turandot, the Toreadors March from Bizet’s Carmen, Amazing Grace, Jupiter from Holst’s Planets and more. The group will be joined by the Truman Percussion Ensemble and Horn choir and the concert will also feature Priscilla Riggle, dean of the School of Arts and Letters, narrating poems of Ogden Nash set to music. President Paino will make his Truman debut as a trumpet player with the brass group. Admission is free and open to all. Residence Life staff and Ryle Hall Senate will be hosting Ryle Ribbon Cutting from 4-5 p.m. Nov. 17. Students, faculty and staff as well as the Kirksville community are encouraged to attend. In addition to the ribbon-cutting event, a guided tour will be offered from 1:30-3:30 p.m. to exhibit the history and new additions to Ryle Hall. Marc Rice, of the Department of Music, will present “The Revolution will be You Tubed: Global Protest, the New Media and Music” as part of the Global Issues Colloquium at 7 p.m. Nov. 17 in Magruder Hall 2001.